HelBeing mobile-friendly is good but nothing compares to an app, agree? Woohoo!! 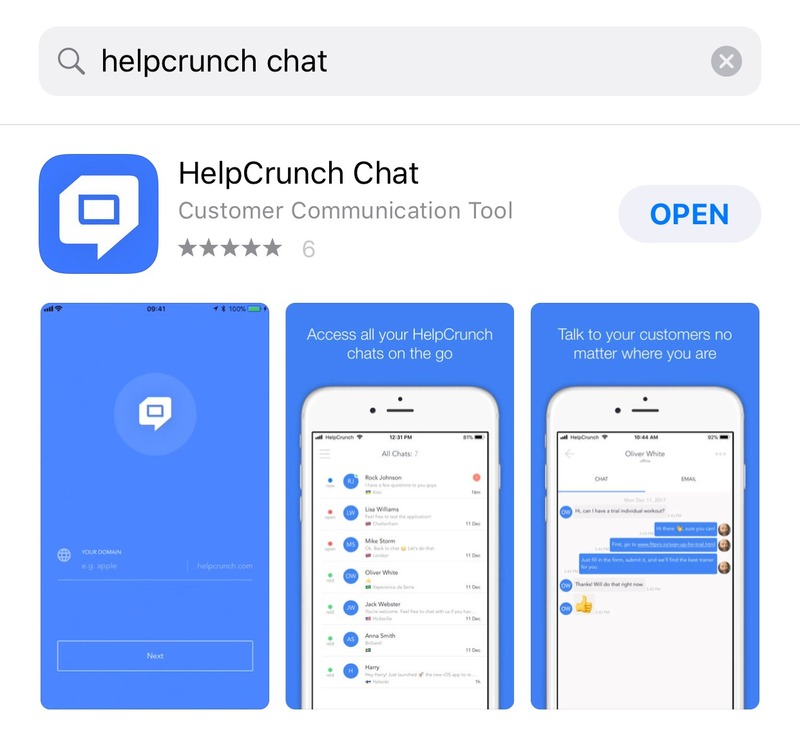 HelpCrunch iOS app is now on App Store both for iPhone and iPad! Never miss a sales opportunity no matter where you are – at the office, on the train or enjoying the sun on the beach. The super-easy navigation, cool-looking design, and slick UI make interactions smooth and hassle-free. 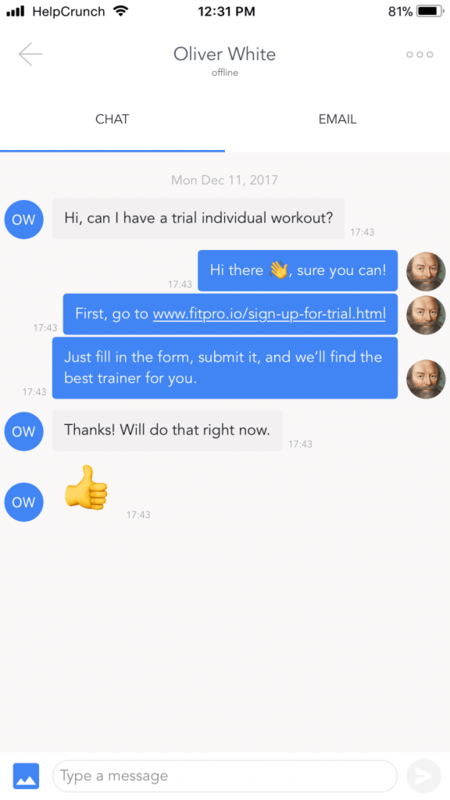 Answer customers’ questions, capture leads and sell your products anywhere, anytime. 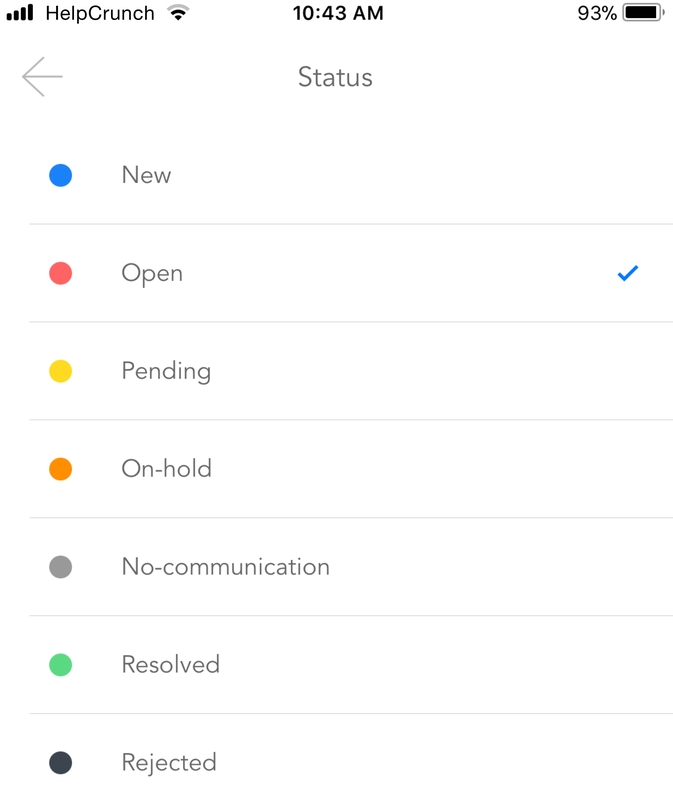 Remote customer service has never been easier. 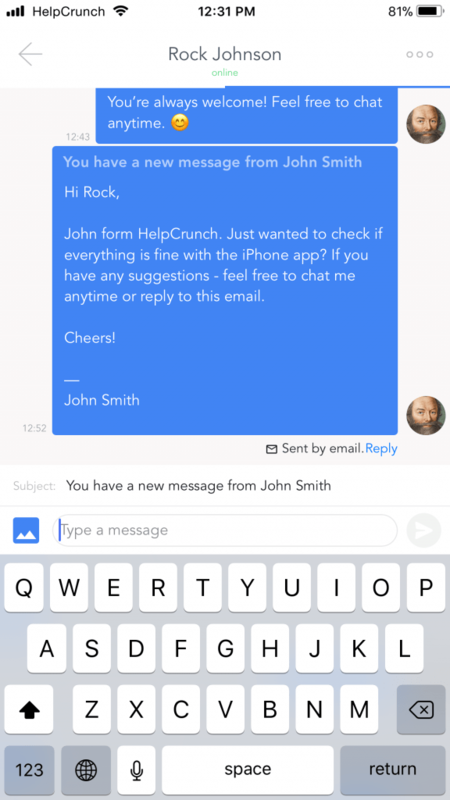 Send instant email follow-ups right from the chat and never let a prospect slip away. 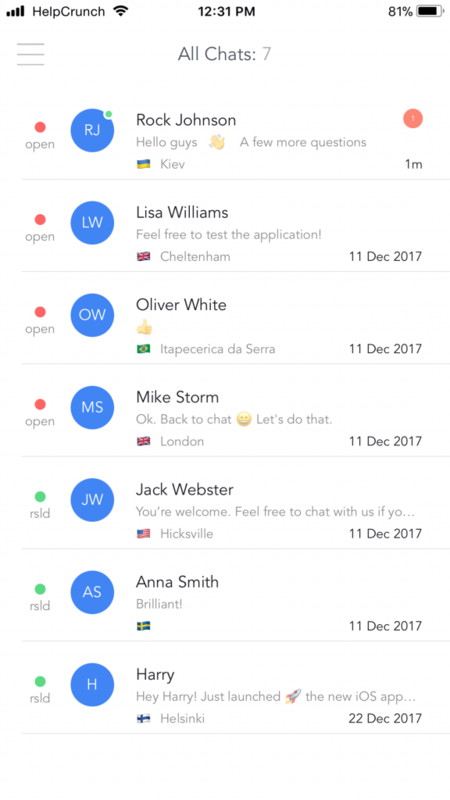 Assign communication statuses to your conversations to easily organize and manage your interactions. See who’s currently online among your customers. 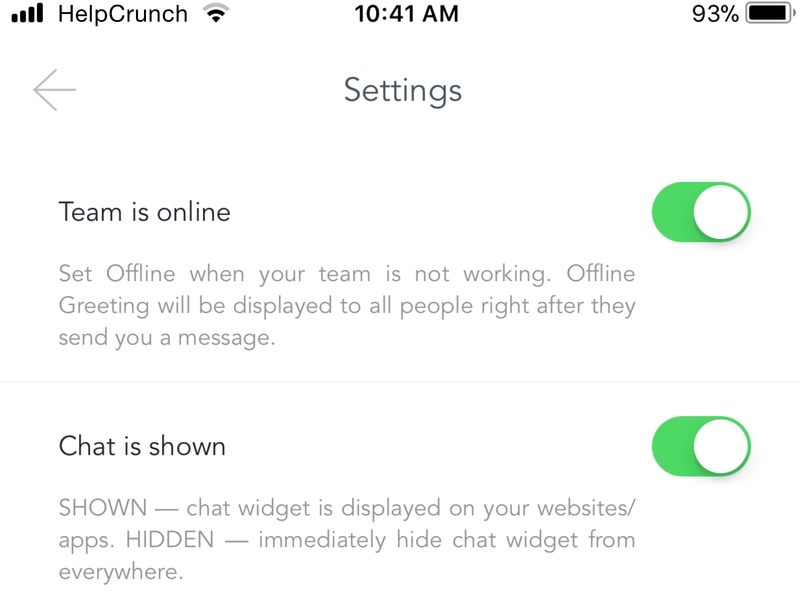 Show or hide your HelpCrunch chat widget and change your team status (online/offline) depending on availability. Download HelpCrunch on the App Store now and enjoy the amazing convenience it gives you!